The past weekend marked a year since the passing of my friend Pete Pope, community activist, custodian of local memory, merry prankster, cyclist, leaflet distributor, ale-quaffer, kind soul, and free man of the parish of Deptford. Pete was one of the first people I interviewed when I started out as a researcher at the Centre for Urban and Community Research at Goldsmiths, as part of the Creekside regeneration programme evaluation. I’ve spent hours interviewing him, most often in his regular haunt the Dog and Bell, where the half the interview below also took place. He was incredibly kind and generous with me, and I know he was to many others too. I miss him. 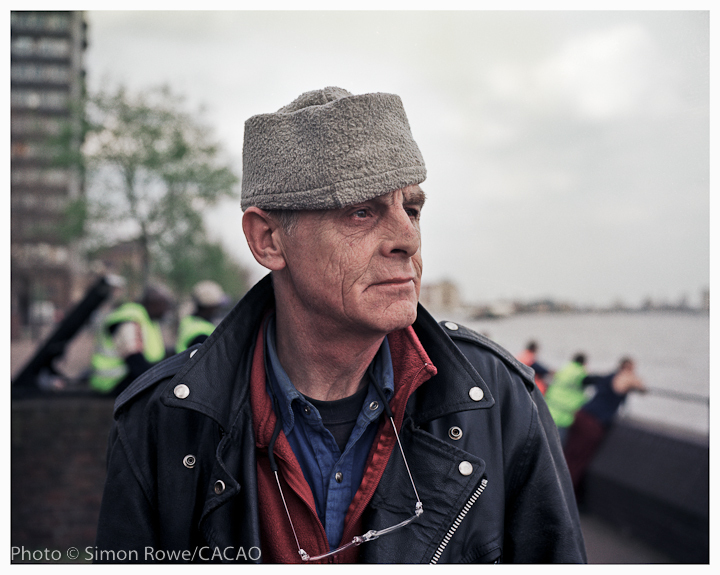 Here are some edited extracts from the transcript of an interview with Pete which I conducted on the Pepys Foreshore and in the Dog and Bell on 16th March 2004 as part of Cacao’s Pepys Portrait Project, a life story/portrait project conceived by Simon Rowe and Francesca Sanlorenzo, from which the photo (by Simon) also comes. “I grew up down Surrey. I grew up in Farnham in Surrey. But I knew from an early age that the only way to get on in Farnham was to get out of Farnham, you know. And the kind of social world is split into two camps, which became the stayers and the goers, as it turned out, so I sorted that one out very quickly. I came to Deptford in ’82. Okay I’d been at Rose Bruford Drama College in Sidcup. I was living in Kilburn. I was living in private rented accommodation and the landlord just decided to double the rent. “No way, no!” And because I had been to Rose Bruford, it had the kind of student grapevine basically. And through the grapevine I discovered that Pepys Estate, which at that time was a GLC estate, was officially classified as hard to let, and you just have to go to the GLC office down on the Old Kent Road and say crudely I want to get a flat and I’ll take Pepys, and you get “Oh yes, great fantastic, bless you”. So that was it and at a fraction of the rent. Pepys Estate was built in 1965, a modernist high rise GLC estate, seen as one of the best housing estates in London. The estate symbolised the utopian dream of a better future for working people. Since then, the reputation of council housing has changed, and tower blocks are associated with social problems. The population has become more diverse. As part of the regeneration of the estate, some blocks have been demolished and their residents rehoused; others have been sold to private developers for luxury homes. Since 2004, Cacao has been documenting the lives of the people in the estate, revealing the different worlds behind their doors and windows. 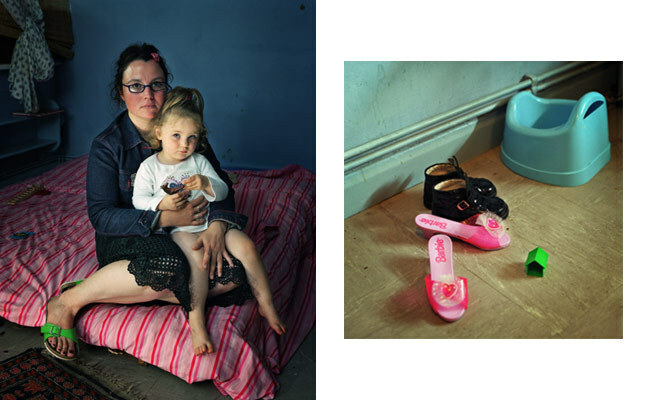 From photographs of residents and their homes, we have built a portrait of a changing estate. 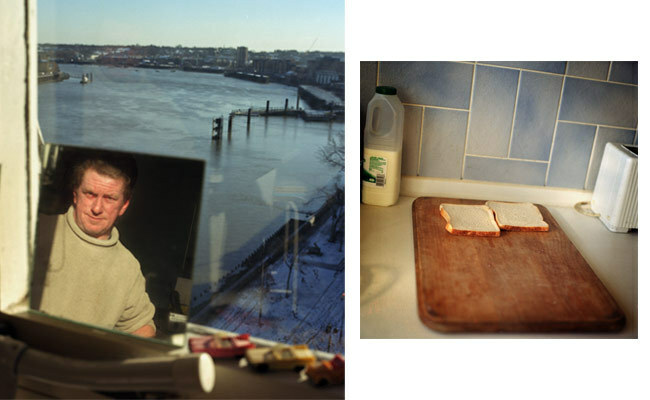 The project interweaves the images with their stories, a diary documenting an account of the social life of the estate over the four decades of its life. Through these images and voices, the residents express universal truths, hopes, dreams and fears.